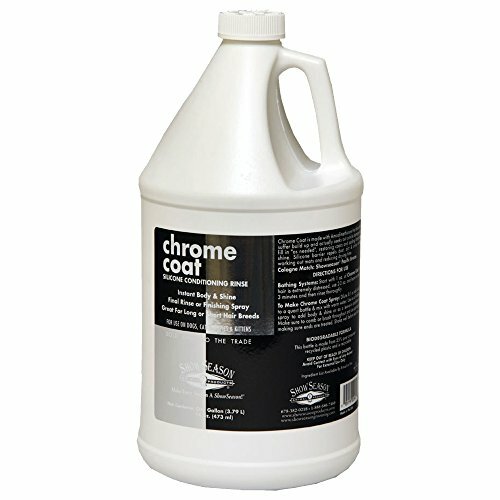 Chrome Coat is a fantastic conditioning rinse that's made with modern silicones that do not suffer build up. Chrome Coat actually seeks out damage on the hair cuticle to fill in "as needed" making coats soft and shiny. Drying time and static are reduced significantly on double coated breeds when using Chrome Coat as a final rinse or spray. If you have any questions about this product by Season Show, contact us by completing and submitting the form below. If you are looking for a specif part number, please include it with your message.